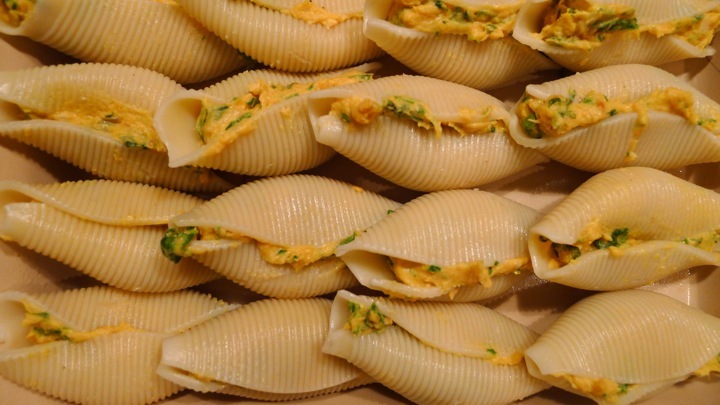 I really love stuffed shells and usually make them the popular way with ricotta and spinach, but this time I went for a fall version and used sweet potato, ricotta, and kale. They came out great and didn’t take a long time to make, which was a bonus. 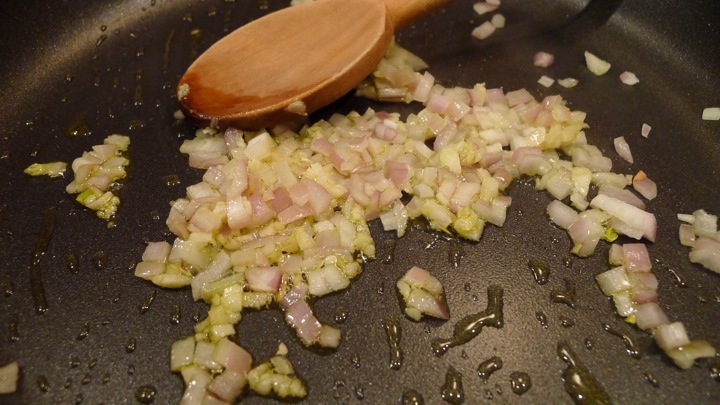 I was thinking of what type of sauce to use, and decided a simple brown butter would do the trick. 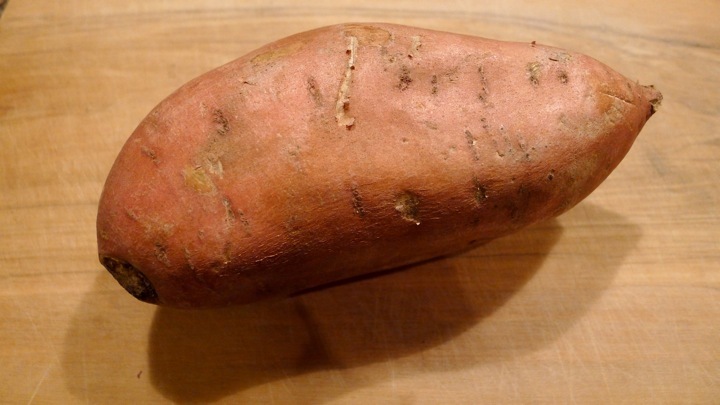 The shells are already sweet from the potato, so I didn’t want to overdue it with a heavy or rich sauce. 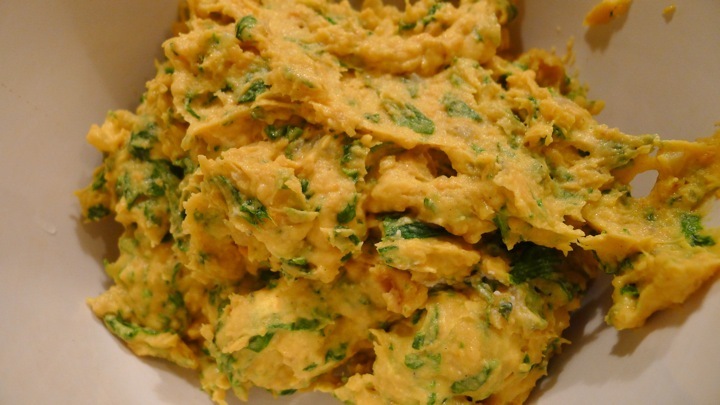 This is an easy comforting fall meal! Preheat oven to 350 degrees. 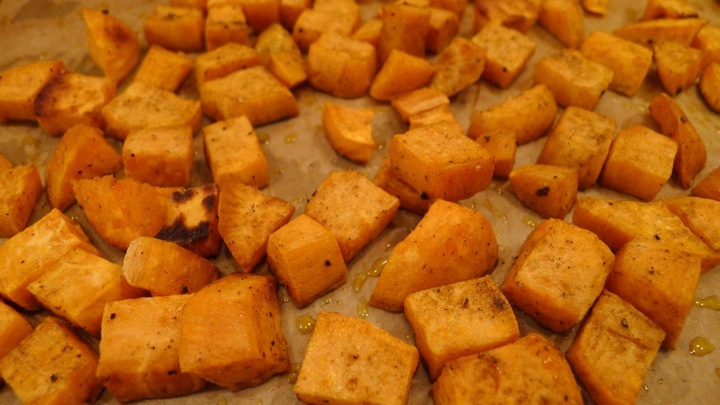 Place the cubed sweet potato on a baking sheet and toss with olive oil, 1/4 teaspoon dried sage, and salt/pepper. Bake for 30 minutes or until fork tender. When the potatoes are about half way done cooking, get a pot of boiling water going and cook the pasta shells as directed on the box. 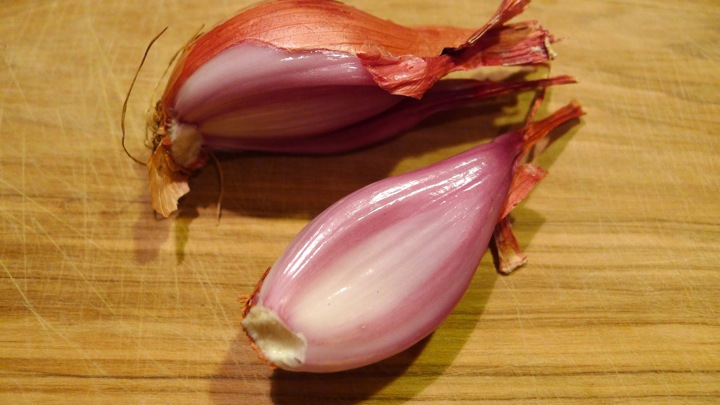 Next, sauté the garlic for about a minute in some olive oil over medium heat, then add the shallot and cook for another minute or until translucent. 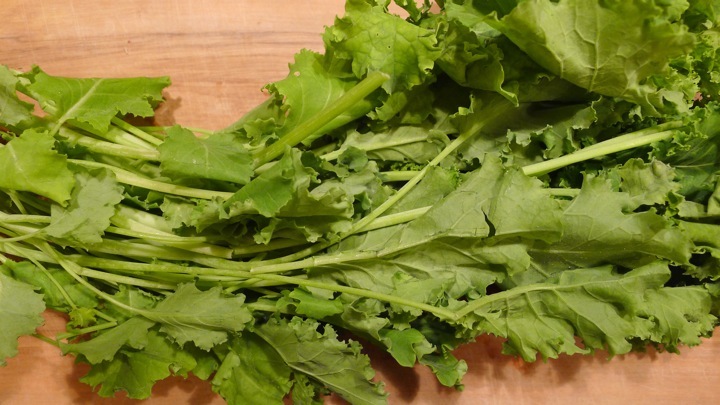 Toss in the kale and cook until wilted. 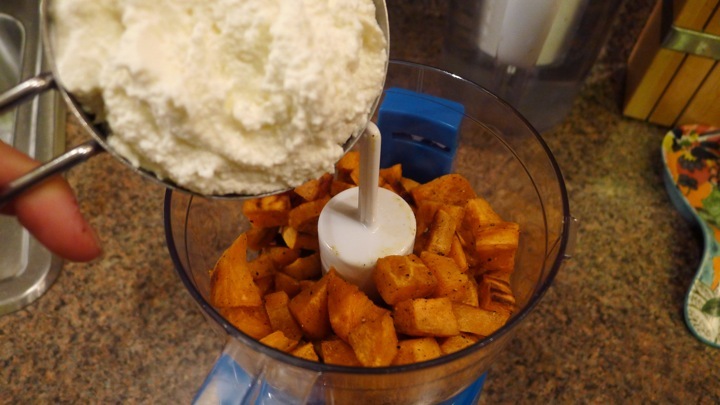 Once the sweet potato is cooked, place it in a food processor with the ricotta cheese and pulse until smooth. 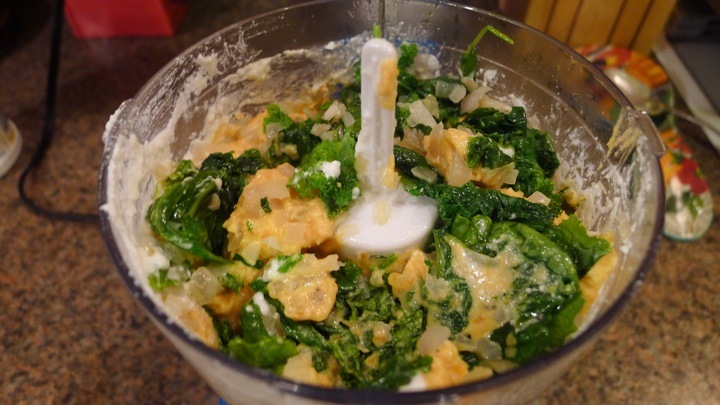 Next, add the kale mixture and blend until the kale is chopped and incorporated. Salt and pepper to taste. Lightly oil a baking dish to prevent the pasta from sticking. 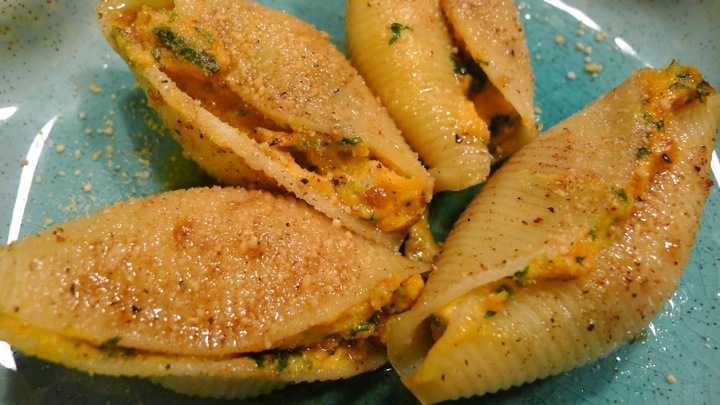 Fill the shells with the sweet potato mixture and place in a single layer in the baking dish. At this point you could sprinkle some freshly grated Parmesan cheese on top if you’d like (I forgot to buy the cheese so I skipped it) then cover with tin foil and bake for 15 minutes. 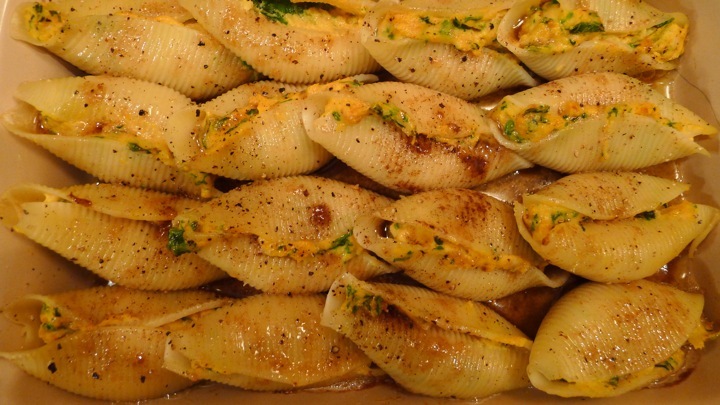 While the shells are baking, make the brown butter sauce. 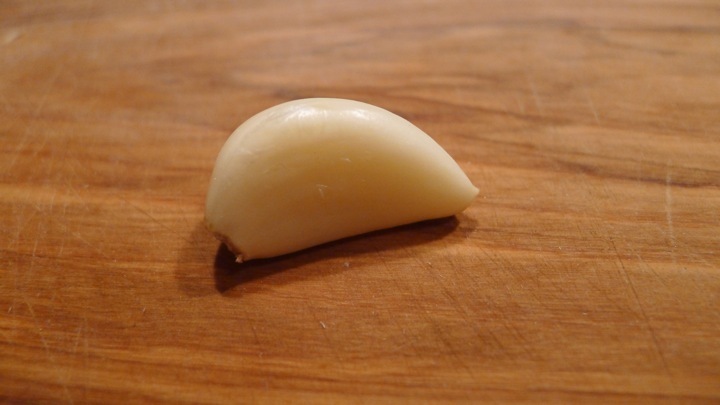 Melt the butter over medium heat and cook until golden in color with a nutty fragrance, then turn down the heat to low. 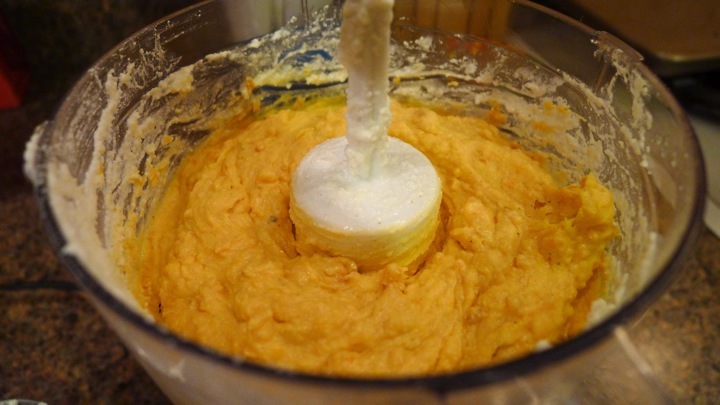 This only takes a minute or two, so watch the butter to make sure it doesn’t burn! 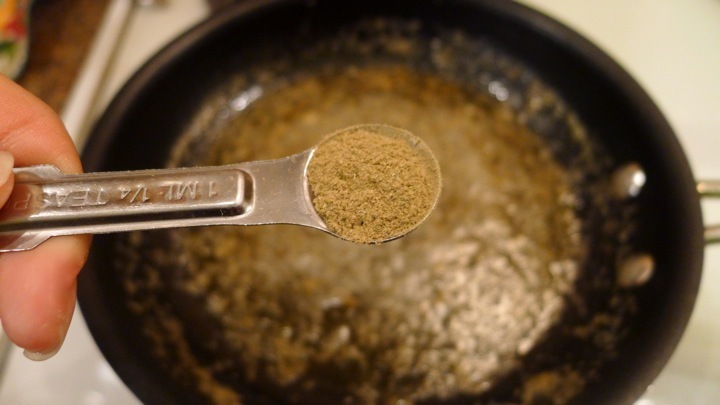 Add the maple syrup, powdered sage, and cinnamon to the butter and cook for a minute then turn off the heat. 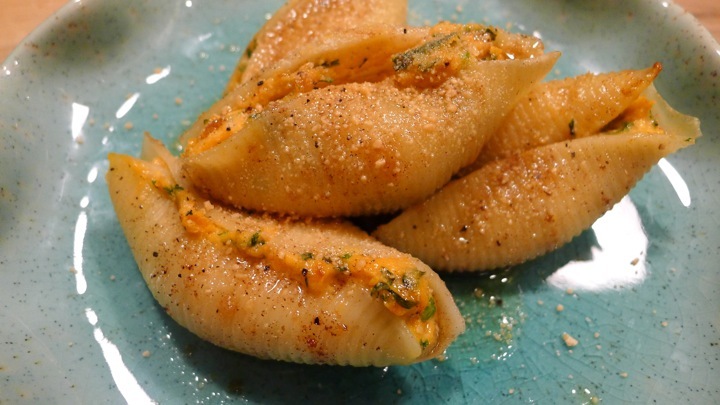 When the shells have cooked for 15 minutes, remove them from the oven and pour the browned butter over the shells. Place back in the oven (without the foil) for 10 minutes, or until slightly golden. Let cool for a few minutes before serving. 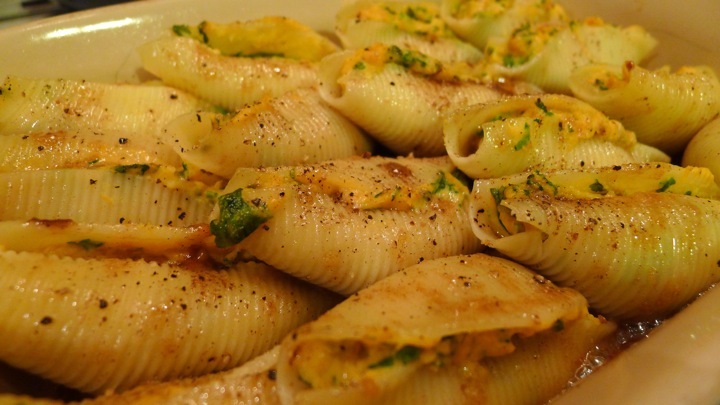 Top with some extra Parmesan cheese and drizzle some of the butter from the bottom of the baking dish. Enjoy! Directions say to add maple syrup but it is not mentioned in the ingredient list. How much? Hi Amy! 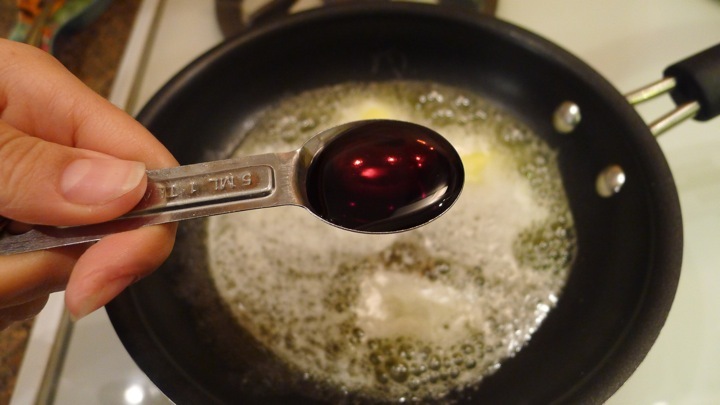 I usually start with 1 tablespoon of maple syrup, then give it a taste and add more if needed to adjust to the sweetness I like. Hope it comes out great!